By TTC: From Warden Station, take the 102, 102A or 102C Markham Road bus. Exit at the intersection of Markham Road and Kingston Road. For over 30 years, Momiji has partnered with Castleview to provide access to 40 long-term care beds for members of the Japanese community. 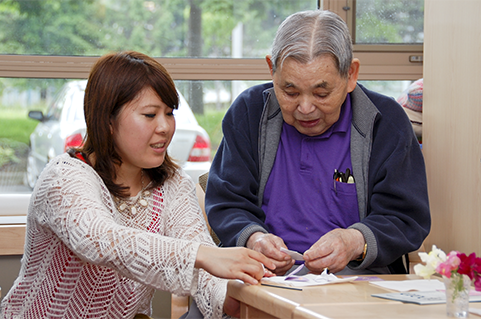 Momiji staff works closely with Castleview volunteers to provide weekly Japanese-specific meals and activity programming. Since the opening in 2004 of the Yee Hong Centre for Geriatric Care Scarborough Finch location, Momiji has had access to 25 long-term care beds. Momiji staff with the help of 30 Yee Hong volunteers, provide culturally-specific meals and programming for the Japanese senior residents. By TTC: From Scarborough Centre Station take 130A Middlefield northbound to Orator Gate stop. Walk 4 minutes to 60 Scottfield.